Bonnie And Clyde Era Coin Collection - Comes In A Safe | BUDK.com - Knives & Swords At The Lowest Prices! The early 1930s were hard times for most Americans. Some took any job they could get and others, like famous criminals Bonnie and Clyde, resorted to stealing. The Bonnie and Clyde Era Coin Collection consists of genuine US coins minted from 1931-1934. Pennies, nickels and dimes are housed in a canvas banker’s bag and rest in a black metal safe. 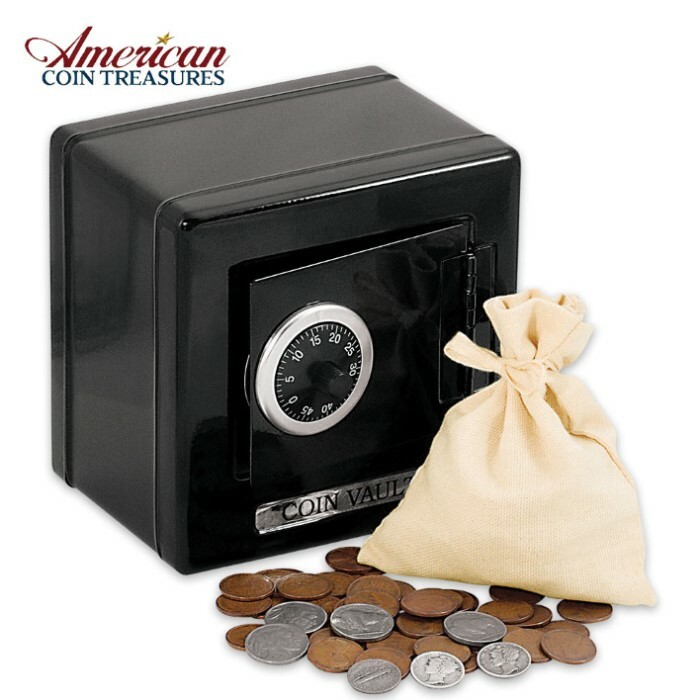 Imagine the fun you and your family will have opening the safe and combing through the 50-piece coin collection, discovering coins that are more than 75 years old! Includes a certificate of authenticity.